Just two more days of the blog tour to go and I'm kinda a little sad (ok not sad about having some free time as these blog tours are a lot of work but sad cause I'm loving all the creative genius flying around!). I met Suz from sewpony at the Sew Delicious sewing day - she was my sewing buddy right beside me and we chatted throughout the day. She was finishing a gorgeous quilt and it was so hard to take her seriously when she was sporting rubber gloves of the kitchen variety (which apparently helps with holding a quilt - I'm no quilter!). If you haven't seen Suz's blog, you have to check out the 'When we were young' series which is just finishing up and the Secret Squirrel - fantastic reads, just so inspiring! 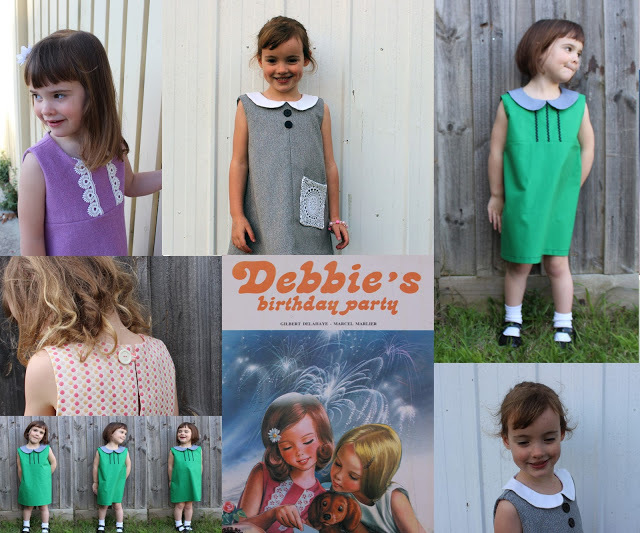 Suz recently released the Debbie's birthday dress (see her blog tour round up here) which is a beautiful vintage pattern with so much scope for interpretation. You can win your own copy below. It is available for purchase through her Etsy shop. Today she is sharing the progress of her new pattern and the fabric just screams Spring, right? Lisa from Sweet Little Pretties is a blogger from Sydney. I'm loving her 'Washi Wednesday' series since I recently bought some (I know, I'm late jumping on the washi bandwagon). 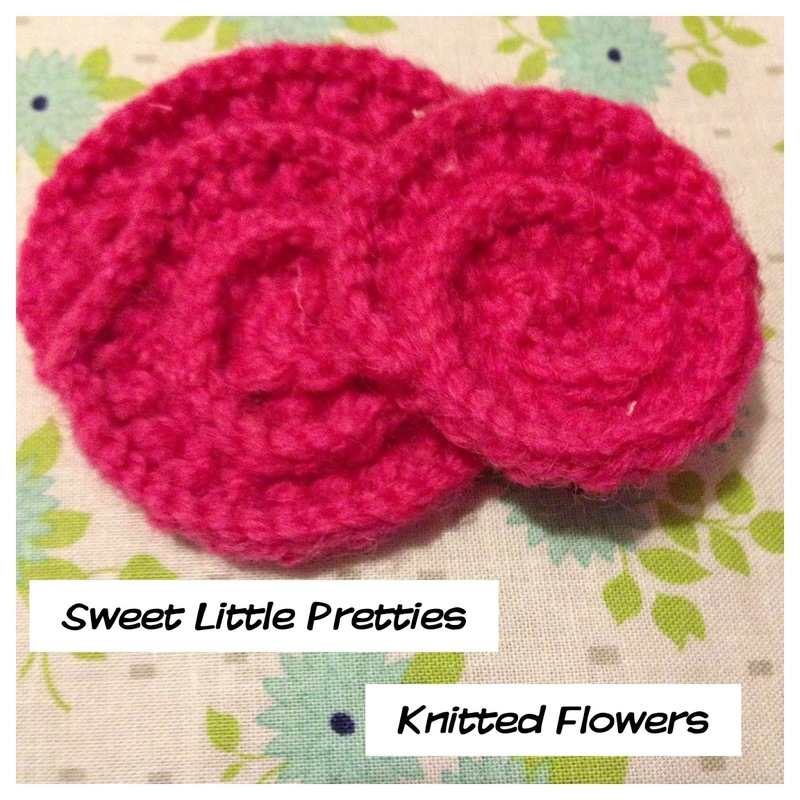 She blogs on lots of things including book reviews, knitting and washi. Diverse! Today she shares with us these little knitted flowers tutorial and how you can use them. Sigh. I wish I could knit! 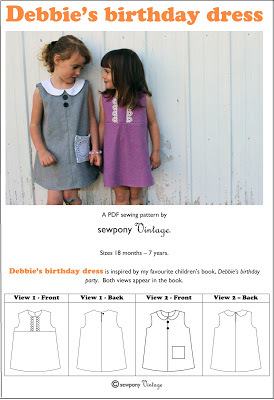 For your chance to win your very own copy of the Debbie's birthday dress pattern you need to tell me what Spring means to you. Easy right? mmmm remember, looking to be wowed! 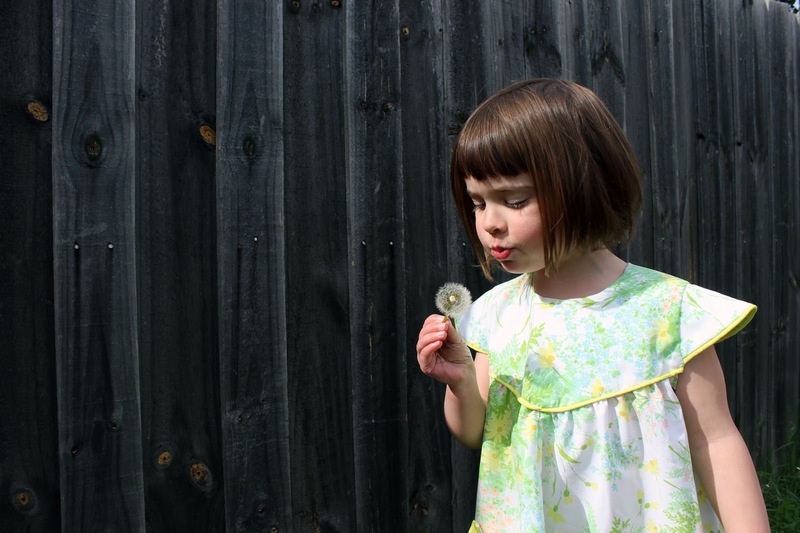 Don't forget to join our Linky Party or see the bloggers joining us each day here. Thanks for your sweet cOmments Jane.. Especially about my fashionable pink gloves! !